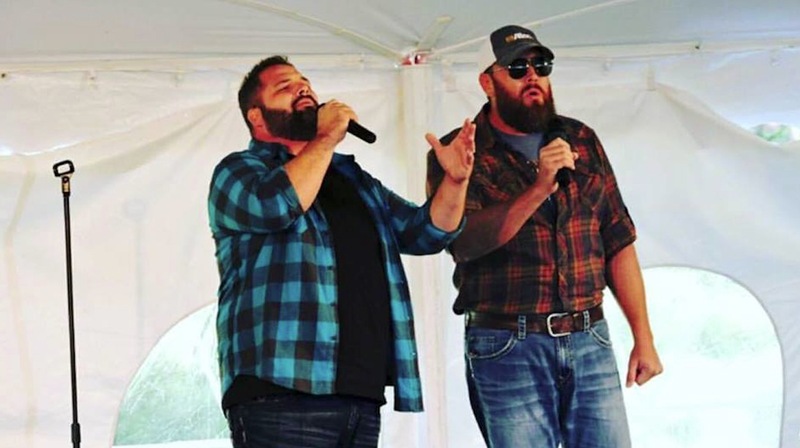 It all began in 2015 when “The Singing Contractors” were on a job site and took a break to record themselves singing “How Great Thou Art”. After posting it on Facebook, they had over 15 million views in just a short time. Then during the Christmas season they posted another video while on the job called “Mary Did You Know” and had over 30 million views. Since that time the views have continued to increased until they now have over 100 million views combined. It created such interest that the Fox News morning show “Fox and Friends” interviewed the guys along with a number of local TV stations in the Indianapolis area. In addition People Digital Magazine did an interview as well as WGN in Chicago. Other connections include Inside Edition and a number of contracting magazines. Josh and Aaron have a passion to communicate the “GOOD NEWS” by using their vocal abilities and the amazing platform that God gave them with a simple post to Facebook back in 2015! We want to thank all of our family, friends and fans who have been supportive of us. We can’t do it without you’re prayers and encouragement. We continue to work through a great deal of things unseen with some amazing things ahead of us in the future. Our goal is to walk through every door HE opens for us! Check out our Tour dates! You never know when we will be in your neck of the woods!! The next song we sing may be the one you needed the most! Stay encouraged! God Bless and see you all soon!! !